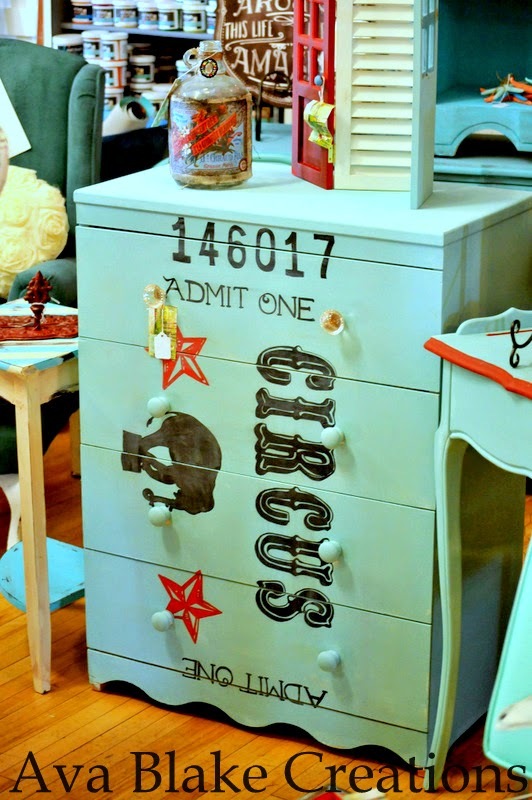 I always LOVE getting plain ol' dressers.....they make for the BEST graphics!! OOPS, I forgot to take my before picture!!! I must have been to excited! 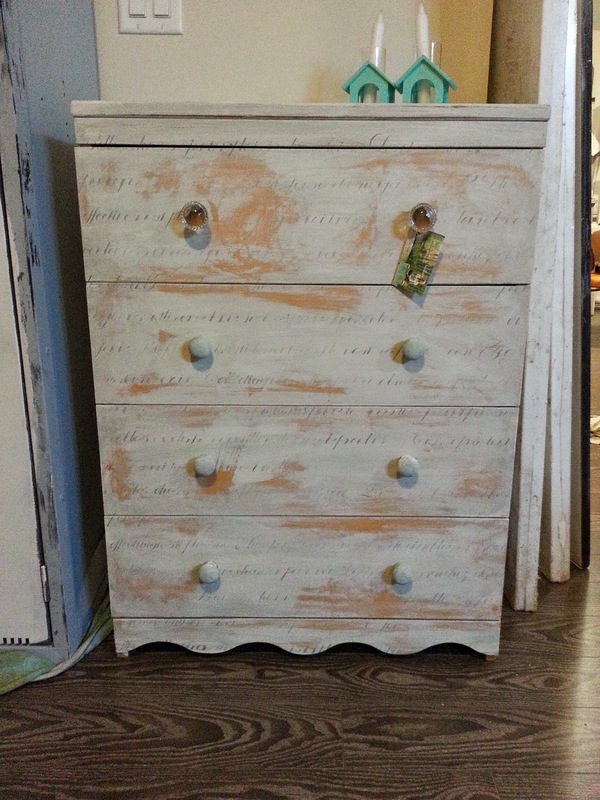 This is a little Antique Birch Dresser, natural wood and sweet! 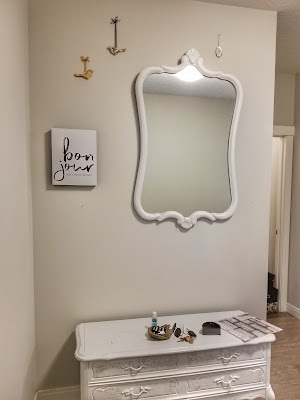 I chalk painted it with van Gogh Fossil Paint Chalk White and distressed back to the original wood...a Scandinavian worn look. I then added the van Gogh french handwritten stencil faintly to it, and finished it off with the glass knobs! Really Pretty. It sat here for a few weeks and then I changed my mind!! This time I made a custom mix of van Gogh colors to get this pale blue. I added the Vintage Ticket outline from Graphics Fairy, I also got the Fonts, and the elephant from Graphics Fairy.....I SERIOUSLY have super love goin on for that site!! I LUV the pop of the red stars! I kept the glass knobs for that little bit of bling....although I still have the blue knobs so it can be for either a girl or boys room! But HOW FUN is this?? SO UNIQUE too!! !